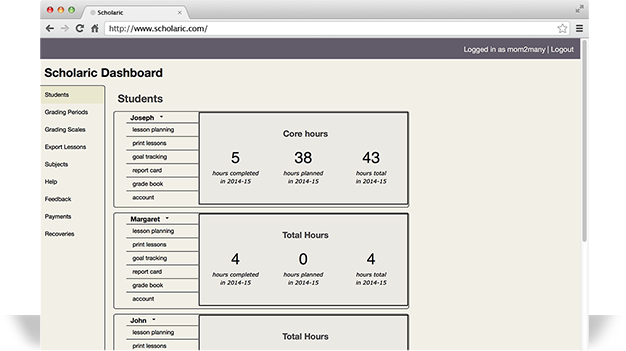 Scholaric makes it easy for you to create successful home school lesson plans for any number of students. Get started instantly with a 15-day FREE trial. Enter your lessons in one place. Scholaric takes care of all the rest. 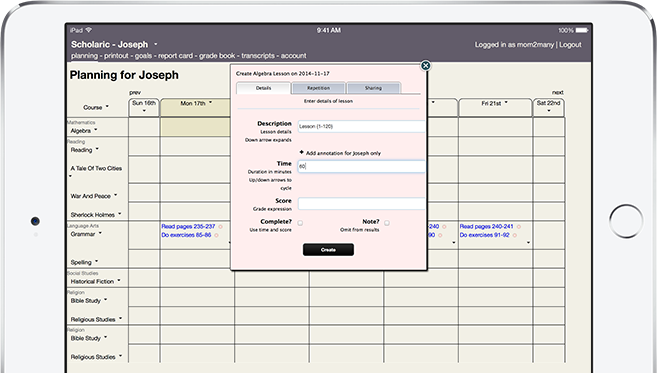 In one click, stay organized with daily or weekly checklists. Print or allow your student to login. Always know whether you are on track to meet your state requirements or your personal goals. The simplest homeschool record keeping system. Fewer settings. No unnecessary features. Only one field required to enter a lesson. Generate repeating lessons easily. Reschedule it all in a click. Plan your whole year with confidence. 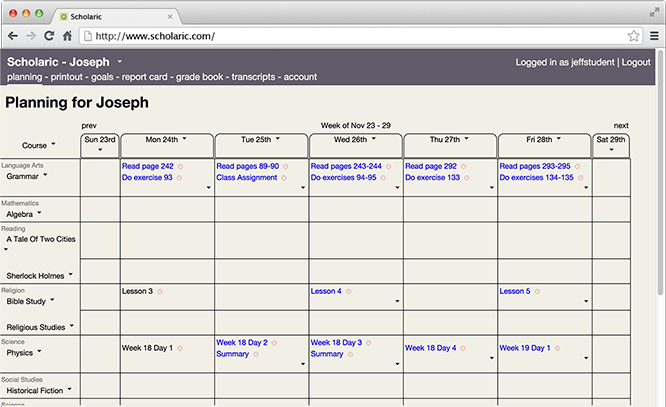 Easily visualize your lessons in a weekly grid. Track exact hours planned and completed. 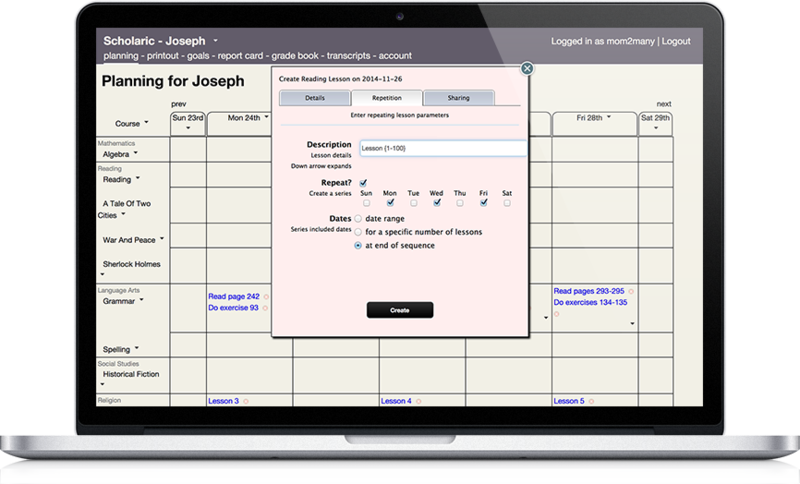 Automatically capture attendance totals. Never worry about losing your hard drive again. Available any time and anywhere on any device: PC, Mac, Linux, iPhone, iPad, or Android. Copyright © Positive Slope LLC. All rights reserved.